If you use shared hosting for your website, chances are good that you are managing your site with cPanel. The cPanel software is the prevalent administration panel for a significant number of hosting companies out there, but many people who use it don’t stop to check out the features that it offers. With cPanel, depending on what your host offers and what your hosting package includes, you can manage domains that are attached to your account, email accounts, files and databases, and many other administrative tasks, all made easier with a single interface. In this article, we’ll walk through six tips for managing your site with cPanel, that you may or may not have seen in your own hosting adventures. Experienced users may already know about these items, but newer users, especially those who haven’t taken the time to really look through their cPanel interfaces, may not have seen these options. In fact, sometimes even experienced users can get bogged down in routine and forget some of the options available to them, so it’s worth a look! The first two items are not default features of cPanel, but rather available “cPanel Apps”, meaning that some hosts may have them, some may not, and some may have more than one similar app available. They’re still mentioned here because of how common they are, and how incredibly useful. Autoinstallers (such as Softaculous Auto Installer) are exactly what the name says. 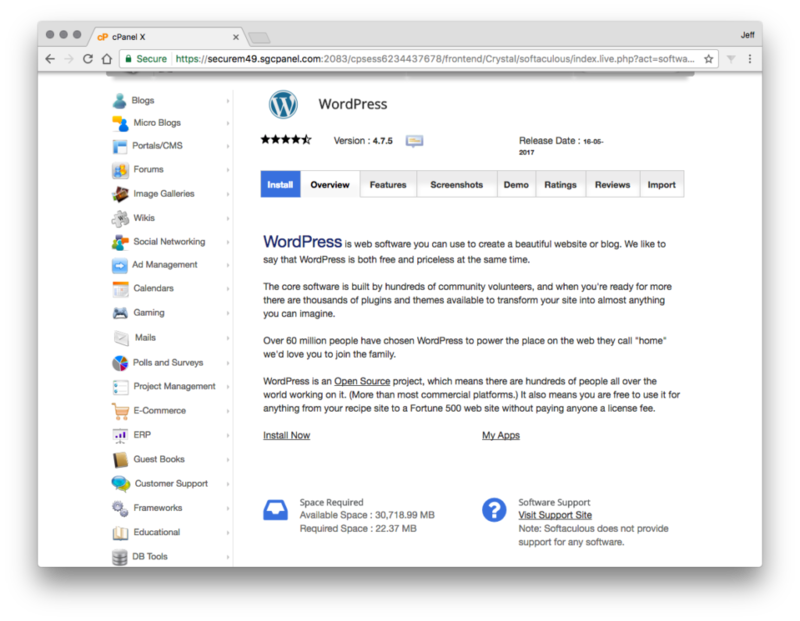 They provide a way to perform quick and painless installations of platforms that you may need in order to build a new website, such as WordPress, Joomla, Drupal, PrestaShop, forums platforms, and a variety of other content management systems, frameworks, and scripts. With a click or two you can have the platform you need installed on your new hosting and ready to go, rather than manually setting up databases, uploading files via FTP, and running through setup processes, troubleshooting issues as you go. It’s a great feature that is sometimes overlooked, and saving time is something that even veteran site administrators can get behind! Another app that you may find in your cPanel is one that provides you with the ability to install an SSL certificate for your website, such as the LetsEncrypt cPanel app. If you’re not very familiar with SSL certificates, and the growing need for every site to use HTTPS, you should take the time to learn about it. Many hosts, including SitePoint’s partner, SiteGround, provide these certificates free, via the cPanel, for all, or at least some payment tiers, of their customers. With SiteGround, the installation and renewal of these certificates is automated for all domains. 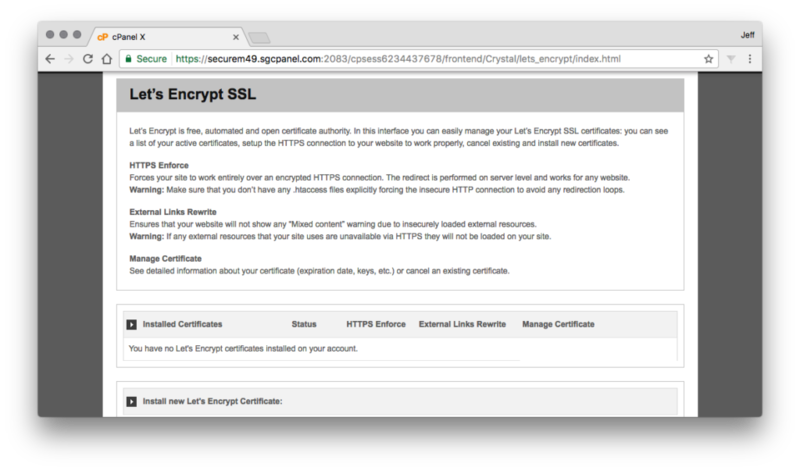 And if you’re using a CMS such as WordPress, here are some tips for getting set up with an SSL certificate. Securing your site with HTTPS will make it easy for all visitors to see that security is important to you, as any modern browser will indicate with a green lock when a site is HTTPS and secure. The growing pressure from Google and others to force all sites to become HTTPS only makes it more urgent, and that much greater of a feature that you can set one up right from your cPanel. When a visitor of your website attempts to navigate to a page that isn’t there, they’ll get a stock 404 error, unless you create a custom error page. This can of course be done within your application, but if you don’t want to take the time, or don’t have the knowledge, this is an invaluable cPanel feature. You can quickly and easily customize your own error pages so that your visitors will land on a page that has some type of valuable information on it instead. Your web server’s logs can be hard to get at in some shared environments. Luckily, you can access Apache error logs straight from cPanel. This will allow you to see in some cases what the problem is with a broken website. 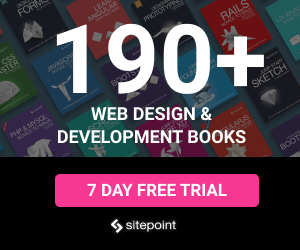 If you’re a website administrator, but not the developer who works on it, it will also give you valuable information to relay to that developer, if needed. Another great cPanel feature is the ability to create backups from the panel. You can do backups of all of your data, in one big file, or you can choose your home directory (all of your files) your MySQL databases (if your website uses a database), or your email forwarders and filters (if you use email from your hosting company). You can download any of those things to your web server account’s home directory, or to a remote FTP server if you desire. Of course, if you back it up to your hosting server, you can also use FTP later to download those backup files if desired. Restoration is a similar process, just selecting which item of the three available to backup that you intend to restore, and following the prompts. A good backup system is never a bad thing, and if you’re using a CMS like WordPress, there are lots of available backup plugins, but taking manual backups is sometimes needed, or is even your only option, so it’s good that this functionality is here at the push of a button from your cPanel. Cron jobs can be created from the panel as well. Cron jobs are something that novice users may not be too familiar with, but that many developers may really be missing if they’re used to using their own servers and then have to work with a shared hosting service without command line access. Cron jobs are a way to schedule tasks on a server. You can pick a day, date, time, and frequency for an action to occur, usually the running of a script or other task. If this feature interests you, you probably already know all about the uses of cron jobs, but in case you don’t, here’s a comprehensive guide to cron jobs that might provide more insight. In the end, the best thing for you to do, once you’ve purchased hosting, is to simply explore your cPanel. There are literally hundreds of cPanel apps which your host might have chosen to install and enable in their cPanels, so there are many other features waiting to be discovered and used. Both native features of cPanel as well as add-on items are often not well explained or marketed, and people rarely visit the cPanel for their website, other than perhaps to set up a new FTP user or email account. Remember that there’s much more there to find and use!